A full day PLAN TO BE YOUR BEST leadership workshop for 50 leaders of Eastern Bank, one of the five largest full-service banks in Massachusetts, and the largest and oldest mutual bank in the nation. Navigating a rapid state of change, Eastern Bank leaders need to be better prepared, for themselves and for the impact they make on the organization. Customer service initiatives, new technologies, and rapid growth are challenging all levels of the organization. Thanks for the great workshop. You are one of the best at listening, rephrasing to acknowledge understanding and providing a solid answer with examples that I’ve seen. I’ve improved in my ability for handling change. With more planning and preparation, I’ve already noticed a difference in productivity. SPEAKING SERVICES FOR IPRO, a national organization providing a full spectrum of health care assessment and improvement services that foster more efficient use of resources and enhance health care quality to achieve better patient outcomes. Rick Cram partnered with IPRO’s leadership team to customize his leadership program expressly for their meeting. SPEAKING SERVICES FOR QueBIT, a leader in Business Analytics and Advanced Analytics with IBM Cognos TM1, SPSS, providing training, consulting and implementation support services. Rick Cram customize an interactive program with a focus on advanced communication strategies. EXPERIENTIAL MARKETING FOR Scotiabank, the third largest bank in Canada. Rick Cram developed and hosted a series of interactive, full-audience participation events that entertained and informed. 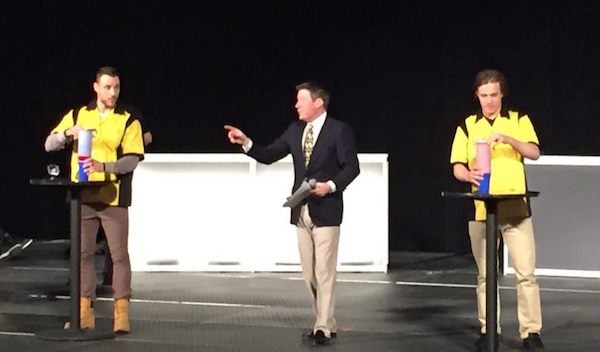 Using an original game show production that had the brokers and underwriters teaming-up to play and compete for prizes, Rick was able to directly involve over 500 mortgage brokers in eight events. Scotiabank’s mortgage lending surged to a commanding lead in market share. These are a few of the 500 mortgage brokers who participated in the events and raved about how they experienced something very unique and highly motivating. CUSTOMER ENGAGEMENT FOR THE BOSTON BRUINS, a professional ice hockey team based in Boston, members of the Atlantic Division of the Eastern Conference of the National Hockey League. 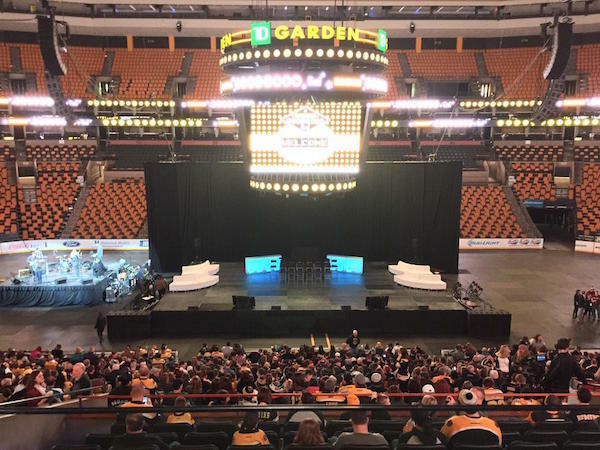 Rick Cram produced and hosted the first-ever game show event by the Boston Bruins, featuring the entire Bruins team in three interactive games, with numerous opportunities for selected season ticket holders to participate on stage. Over 5,000 season ticket holders attended and raved it was the “Best event Bruins have held for the fans. Family Feud was hysterical.” -kitode.